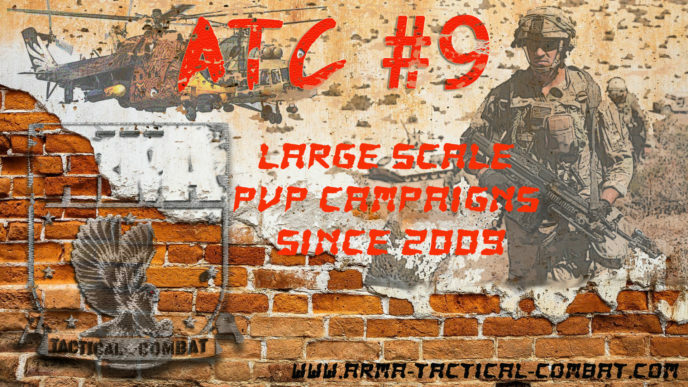 Since 2009, ATC is a Large Scale Combined Arms PvP Campaign. We are presenting now the ninth Campaign. ATC #9 has been largely rewritten with a lot of new features! Mod collections are ready for download and will be published shortly (only mods needed for the first part, maps needed for the second will be added after the meeting). Both A3Sync and Steam collection will be available. If possible please register within Nov. 25th (before the meeting) to allow the general test to be performed with the intended player count for the campaign. Hope to see you all! Best regards!